ATLANTA – The U.S. Small Business Administration announced today that certain Private NonProfit organizations (PNP)s in Massachusetts that do not provide critical services of a governmental nature may be eligible to apply for low-interest rate disaster loans. These loans are available following a Presidential disaster declaration for Public Assistance resulting from damages caused by a severe winter storm and snowstorm on March 13 - 14, 2018. PNPs located in Essex, Middlesex, Norfolk, Suffolk and Worcester counties in Massachusetts are eligible to apply. Examples of eligible non-critical PNP organizations include, but are not limited to, food kitchens, homeless shelters, museums, libraries, community centers, schools and colleges. The SBA also offers Economic Injury Disaster Loans to PNP organizations to help meet working capital needs, such as ongoing operating expenses. Economic Injury Disaster Loan assistance is available regardless of whether the organization suffered any physical property damage. PNP organizations are urged to contact their County’s Emergency Manager for information about their organization. The information will be submitted to FEMA to determine eligibility for a Public Assistance grant or whether the PNP should be referred to SBA for disaster loan assistance. 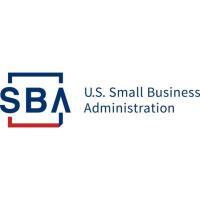 Additional information on the SBA disaster loan program and application process can be obtained by calling SBA’s Customer Service Center at 800-659-2955 (800-877-8339 for the deaf and hard-of-hearing) or by sending an email to disastercustomerservice@sba.gov. Loan applications can be downloaded from sba.gov. Completed applications should be returned to a recovery center or mailed to: U.S. Small Business Administration, Processing and Disbursement Center, 14925 Kingsport Road, Fort Worth, TX 76155. The filing deadline to submit applications for physical property damage is Sept. 17, 2018. The deadline to submit economic injury applications is April 19, 2019.